Lexington Legends Season Ticket Holder. Family Time is Our Game. As a Legends season ticket member, you understand the value of holding Legends season tickets. Memberships for 2019 include new and improved benefits. 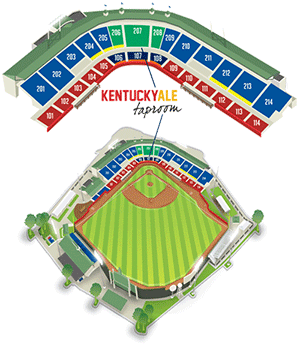 The best seats at Whitaker Bank Ballpark for the best price. Flexible ticket exchange policy. Convenient online account management through the Tickets.com ProVenue portal. Stache Shoppe discounts and much more. Come have a #stachetastic time at the ballpark w/ the family, friends, co-workers, little leaguers and more! Simply click on a ticket option below to see additional benefits and price points. ADA accessible areas are located in section 204-206, 212, 213 and on the Luxury Suite Level. Call the Legends Box Office at (859) 422-7867 to speak with a Legends Account Executive, boxoffice@lexingtonlegends.com, or purchase Legends Season Tickets online!